No. 23 — Make (Internet) Friends? Meet Virginia Heffernan—author, bookworm, and true-blue internet friend. Her 2016 book, Magic and Loss: The Internet as Art, captivated us; this conversation takes our favorite threads from the book and runs with them. Listen in to hear Virginia turn the tables on us and help us figure out where friends come from. 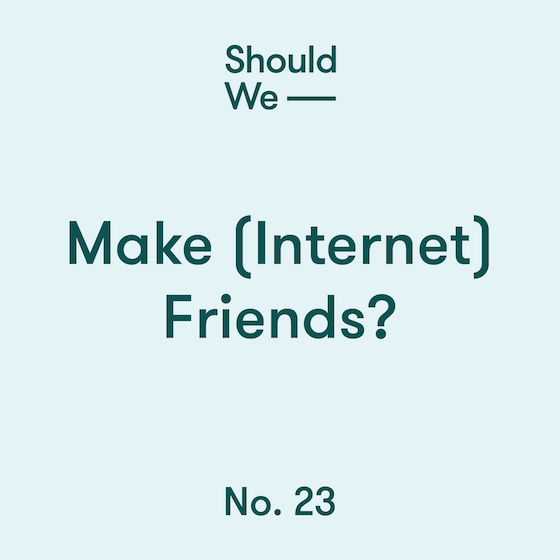 In this episode, we talk message boards, Medium, and the metric system. Press play when you’re in the mood to get to the bottom of the internet, once and for all. Older PostNo. 22 — Own Things?